Retired Supreme Court Justice John Paul Stevens said on Thursday that the federal government should follow the lead of states that have legalized marijuana. That makes him the first Supreme Court justice -- retired or otherwise -- to endorse legalization. "Yes," Stevens replied when asked by NPR's Scott Simon as to whether marijuana should be legalized under federal law. "I really think that that's another instance of public opinion [that's] changed. And recognize that the distinction between marijuana and alcoholic beverages is really not much of a distinction. Alcohol, the prohibition against selling and dispensing alcoholic beverages has I think been generally, there's a general consensus that it was not worth the cost. And I think really in time that will be the general consensus with respect to this particular drug." This isn't the first time Justice Stevens has taken a progressive stand on drug policy. 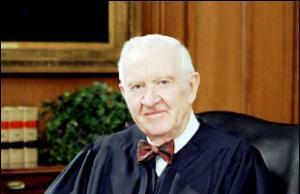 In a 2011 interview in Time magazine, the bow-tied jurist slammed harsh drug sentencing. "The use of mandatory minimum statutes has had a very adverse effect on the overall system, and I think generally, the so-called war on drugs has emphasized more-severe punishment than is appropriate throughout the country," Stevens said then. "There are some instances where penalties are so disproportionate that they could well violate the Eighth Amendment." And although Stevens authored the Supreme Court opinion in Gonzales v. Raich upholding federal preeminence over state medical marijuana laws, he has also called it "most unwise" to prohibit the medical use of the drug. Stevens' latest remarks were cheered by Tom Angell, chairman of Marijuana Majority. "Justice Stevens is right. Public opinion is shifting rapidly in favor of marijuana legalization," said Angell. "Polls now consistently show that a clear majority of the public supports ending prohibition and, as this trend continues, we'll start to see more prominent people and politicians saying it's time to change the laws." 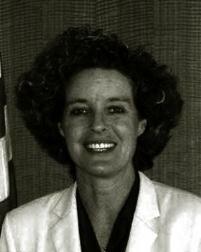 Stevens served as Supreme Court justice from 1975 to 2010. Reason-Rupe Poll Has Support for Marijuana Legalization at 49%. In the latest Reason-Rupe poll, 49% of respondents favored legalizing marijuana, with 47% opposed. That puts it on the low side of recent polls on the topic, most of which are now showing majorities for legalization now. The poll found majority support among Democrats (55%) and independents (51%), but not Republicans (37%). Click on the link for more demographic and methodological details. 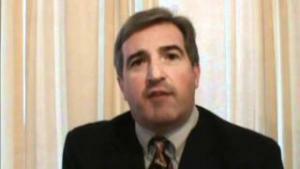 NYC Lobbyist Forms Marijuana Legalization PAC. The New York City lobbying and consulting firm Sheinkopf LTD, headed by Hank Sheinkopf, has registered a political action committee to advocate for marijuana legalization. The "Legalize Now" PAC was registered this week with the New York State Board of Elections. 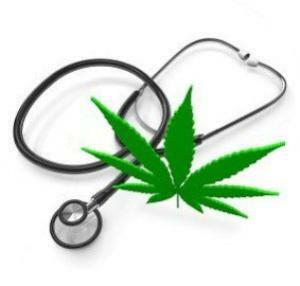 Both medical marijuana and legalization bills are pending in the legislature. Washington State Marijuana Consumption Twice Previous Estimate, RAND Says. Marijuana consumption is about twice as much as officials had previously thought, according to a new RAND Corporation study. Consumption had been estimated to be about 85 metric tons in 2013, but the new study says the range is between 135 and 225 metric tons, with 175 metric tons as the median. Clock is Ticking on Florida Initiative. Time is running short for Florida's United for Care medical marijuana initiative. Organizers have until February 1 to gather 683,189 valid voter signatures, and say they have gathered 700,000 raw signatures, but only 162,866 have been certified as of Tuesday. Organizers are assuming a 25% rejection rate, so they are looking to gather a million signatures by deadline day. Jack Fishman Dead at 83; Helped Create Naloxone.A scientist who played a key role in the development of the opioid overdose-reversal drug naloxone has died. Dr. Jack Fishman died earlier this month at age 83. Naloxone (Narcan) is credited with saving countless people from overdoses of heroin and other opioid drugs. Naloxone has been approved to treat overdoses since 1971, but only some states allow it to be distributed to drug users, community support groups, and local health clinics. New Brennan Center Proposal Aims to Reduce Mass Incarceration. The Brennan Center, a nonpartisan law and public policy institute based at the NYU School of Law, has unveiled a new policy proposal to shrink prison populations, Reforming Funding to Reduce Mass Incarceration. It was discussed last week at the National Press Club in Washington by a panel including Jim Bueerman of the Police Foundation, Marc Levin of the Texas Public Policy Foundation, and Nkechi Taifa of the Open Society Foundations. Golden Triangle Opium Production Up, UNODC Says. Opium production in Southeast Asia's Golden Triangle (Laos, Myanmar, Thailand) is up 22% this year over 2012, the UN Office on Drugs and Crime said Wednesday in its Southeast Asia Opium Survey 2013 - Lao PDR, Myanmar. Most of the production is in Myanmar, which produced 870 of the regions estimated 893 tons. The Golden Triangle accounted for 18% of global opium production this year, the report said. 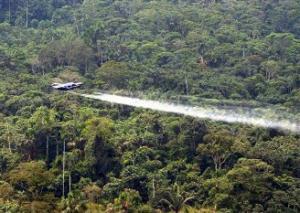 Colombia Coca Spraying Halted After FARC Shoots Down Two US Pilots, One Killed. US-funded aerial eradication of coca crops in Colombia has been suspended indefinitely after FARC rebels shot down two spray planes, leaving one US pilot dead. The downings occurred in September and October, but the news that the FARC shot them down and that the program had been suspended didn't come until this week. Mexican Human Rights Commission Warns Government on Anti-Cartel Vigilantes. Mexico's National Commission on Human Rights warned Tuesday that the rise of vigilante groups to confront drug trafficking organizations undermines the rule of law and could lead to increased violence. The commission blamed the rise of the vigilantes on the government's failure to provide security and accused the government of encouraging the formation of some of the groups. The commission said there were some 7,000 vigilante members in Guerrero alone, with thousands more in Michoacan, where dozens have been killed in clashes among vigilantes, police, soldiers, and drug traffickers. US Attorney General Eric Holder announced Monday a comprehensive federal sentencing reform package with a strong emphasis on drug sentencing. He said he will direct US Attorneys that low-level, nonviolent drug offenders not tied to gangs or major trafficking organizations should not be charged in ways that trigger lengthy mandatory minimum sentences. Holder's announcement is only the latest indicator that -- after decades of "tough on crime" politics in Washington -- pressure is mounting to do something about the huge number of people in federal prisons. The Chronicle will be reporting on the rising calls for reform in both the executive branch and the Congress later this week. In a major speech to the American Bar Association in San Francisco Monday morning, Holder laid out Obama administration sentencing reform plans, some of which can be implemented by executive action, but some of which will require action in the Congress. The comprehensive sentencing reform package is designed to reduce the federal prison population not only through sentencing reforms, but also through alternatives to incarceration in the first place. "A vicious cycle of poverty, criminality and incarceration traps too many Americans and weakens too many communities," Holder said. "However, many aspects of our criminal justice system may actually exacerbate this problem rather than alleviate it. Too many Americans go to too many prisons for far too long and for no good law enforcement reason. We cannot simply prosecute or incarcerate our way to becoming a safer nation." "It's time -- in fact, it's well past time -- to address persistent needs and unwarranted disparities by considering a fundamentally new approach," Holder told the assembled attorneys. "While I have the utmost faith in -- and dedication to -- America's legal system, we must face the reality that, as it stands, our system is in too many respects broken. The course we are on is far from sustainable. And it is our time -- and our duty -- to identify those areas we can improve in order to better advance the cause of justice for all Americans." One of those areas, Holder said, is mandatory minimum sentencing. "We will start by fundamentally rethinking the notion of mandatory minimum sentences for drug-related crimes. Some statutes that mandate inflexible sentences -- regardless of the individual conduct at issue in a particular case -- reduce the discretion available to prosecutors, judges, and juries," said the former federal prosecutor. "Because they oftentimes generate unfairly long sentences, they breed disrespect for the system. When applied indiscriminately, they do not serve public safety. They -- and some of the enforcement priorities we have set -- have had a destabilizing effect on particular communities, largely poor and of color. And, applied inappropriately, they are ultimately counterproductive." 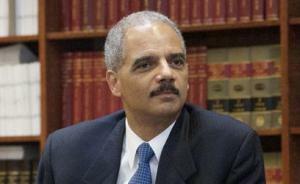 In addition to reducing the resort to mandatory minimum sentencing and directing prosecutors to use their discretion in charging decisions, Holder will also order the Justice Department to expand the federal prison compassionate release program to include "elderly inmates who did not commit violent crimes and who have served significant portions of their sentences." Beside the executive branch actions, Holder also committed the Obama administration to supporting sentencing reform legislation currently pending before Congress, specifically the Justice Safety Valve Act (Senate Bill 619), which would give federal judges the ability to sentence below mandatory minimums when circumstances warrant, and the the Smart Sentencing Act (Senate Bill 1410), which would reduce mandatory minimums for drug crimes, slightly expand the existing drug sentencing safety valve, and apply retroactively the Fair Sentencing Act of 2010's reduction in the crack-powder cocaine sentencing disparity. "Such legislation will ultimately save our country billions of dollars," Holder said. "Although incarceration has a role to play in our justice system, widespread incarceration at the federal, state and local levels is both ineffective and unsustainable." Sentencing and drug reform advocates welcomed Holder's speech and the Obama administration's embrace of the need for criminal justice reforms, but also scolded the administration and lawmakers for taking so long to address the issue and for timidity in the changes proposed. "For the past 40 years, the Department of Justice, under both political parties, has promoted mandatory minimum sentencing like a one-way ratchet. Federal prison sentences got longer and longer and no one stopped to consider the costs and benefits," said Julie Stewart, founder and head of Families Against Mandatory Minimums (FAMM). "Today, at long last, the politics of criminal sentencing have caught up to the evidence. The changes proposed by the Attorney General are modest but they will make us safer and save taxpayers billions of dollars in the process." "There's no good reason, of course, why the Obama administration couldn't have done something like this during his first term -- and tens, perhaps hundreds, of thousands of Americans have suffered unjustly as a result of their delay," said Drug Policy Alliance executive director Ethan Nadelmann in a message to supporters. "But that said, President Obama and Attorney General Holder deserve credit for stepping out now, and for doing so in a fairly decisive way." At an undisclosed location in Virginia, a publicity-shy DEA unit is feeding surveillance data from the National Security Agency (NSA), as well as wiretaps, informants, and a massive DEA phone record database, to law enforcement officials around the country to help them launch criminal investigations of American citizens. Reuters broke the story with an investigative report Monday. Law enforcement has been directed to conceal how those investigations really began, deceiving not only defense attorneys, but also prosecutors and judges, raising serious questions about the propriety and even the constitutionality of the practice. “The DEA increasingly qualifies as a rogue agency -- one that Congress needs to immediately investigate," "said Ethan Nadelmann, executive director of the Drug Policy Alliance. "This latest scandal may well be just the tip of the iceberg," he added, referring to the agency's checkered past. "It's remarkable how little scrutiny the DEA faces from Congress or other federal overseers," Nadelmann continued. "With an annual budget of over $2 billion as well as significant discretionary powers, DEA certainly merits a top-to-bottom review of its operations, expenditures and discretionary actions." 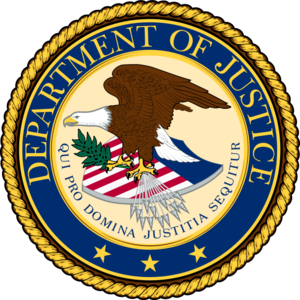 The DEA unit in question is the Special Operations Division (SOD), which was created in 1994 to combat Latin American drug trafficking organizations. Its members also include the FBI, CIA, NSA, IRS, and Department of Homeland Security, among two dozen partner agencies. Since its inception, SOD has grown from several dozen employees to several hundred, Reuters reported. Most of its work is classified and is intended to remain confidential. But Reuters managed to get its hands on key documents, including the one quoted from below. "Remember that the utilization of SOD cannot be revealed or discussed in any investigative function," one document tells agents. It directs agents to not mention SOD participation in investigative reports or search warrant affidavits in courtroom testimony or discussions with prosecutors, instead instructing agents to use "normal investigative techniques to recreate the information provided by SOD." In other word, to lie about the origin of information that becomes the basis for criminal prosecutions. DEA officials and former federal agents defended the practice, and one described the process to Reuters. "You'd be told only, 'Be at a certain truck stop at a certain time and look for a certain vehicle.' And so we'd alert the state police to find an excuse to stop that vehicle, and then have a drug dog search it," the agent said. Agents would then pretend that the investigation began with traffic stop, not with the tip from SOD, a practice known as "parallel construction." Surprisingly, senior DEA officials told Reuters the practice is nothing new and is used to protect sources and methods. "Parallel construction is a law enforcement technique we use every day," one official said. "It's decades old, a bedrock concept." But the practice could violate a defendant's right to a fair trial. Disguising the origins of information could violate pretrial discovery rules by obscuring evidence that could be helpful to defendants. And without knowing how an investigation began, defendants cannot know to ask to review potential sources of exculpatory evidence. Legal experts pronounced themselves troubled by the revelations. "I have never heard of anything like this at all," said Nancy Gertner, a Harvard Law School professor who served as a federal judge from 1994 to 2011, who along with others said the practice was more disturbing than the revelations that the NSA is collecting domestic phone records. "It is one thing to create special rules for national security," Gertner said. "Ordinary crime is entirely different. It sounds like they are phonying up investigations." "That's outrageous," said Tampa attorney James Felman, a vice chairman of the criminal justice section of the American Bar Association. "It strikes me as indefensible." A systematic effort to conceal the evidence that sparked criminal investigations "would not only be alarming but pretty blatantly unconstitutional," said New Jersey defense attorney Lawrence Lustberg. "You can't game the system," said former federal prosecutor Henry E. Hockeimer Jr. "You can't create this subterfuge. These are drug crimes, not national security cases. If you don't draw the line here, where do you draw it?" Even prosecutors have problems with the program. One federal prosecutor told Reuters that in one case, a DEA agent "misled" him, telling him an investigation of a US citizen began with an informant's tip. When the prosecutor pressed for more information, a DEA supervisor revealed that the information had actually come via the SOD from an NSA intercept. "I was pissed," the prosecutor said. "Lying about where the information came from is a bad start if you're trying to comply with the law because it can lead to all kinds of problems with discovery and candor to the court." The prosecutor never filed charges in the case because he lost confidence in the investigation, he said. The SOD has claimed some "successes," including a 2008 DEA sting in Thailand aimed at Russian arms dealer Viktor Bout, who was convicted of conspiring to sell weapons to the Colombian FARC guerrilla army. It also coordinated Project Synergy, a crackdown on synthetic drugs that resulted in 227 arrests in 35 states. 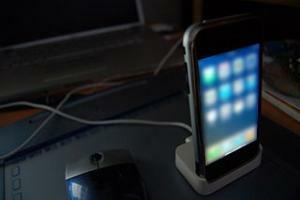 "It was an amazing tool," said one recently retired federal agent. "Our big fear was that it wouldn't stay secret." In the wake of last week's victories for marijuana legalization in Colorado and Washington, everyone is waiting to see how the federal government will respond. But early indications are that we may be waiting for awhile, and that the federal options are limited. While the legal possession -- and in the case of Colorado, cultivation -- provisions of the respective initiatives will go into effect in a matter of weeks (December 6 in Washington and no later than January 5 in Colorado), officials in both states have about a year to come up with regulations for commercial cultivation, processing, and distribution. That means the federal government also has some time to craft its response, and it sounds like it's going to need it. So far, the federal response has been muted. The White House has not commented, the Office of National Drug Control Policy has not commented, and the Department of Justice has limited its comments to observing that it will continue to enforce the federal Controlled Substances Act. "My understanding is that Justice was completely taken aback by this and by the wide margin of passage," said Eric Sterling, former counsel to the House Judiciary Committee and currently the executive director of the Criminal Justice Policy Foundation. "They believed this would be a repeat of 2010, and they are really kind of astonished because they understand that this is a big thing politically and a complicated problem legally. People are writing memos, thinking about the relationship between federal and state law, doctrines of preemption, and what might be permitted under the UN Single Convention on Narcotic Drugs." What is clear is that marijuana remains illegal under federal law. In theory an army of DEA agents could swoop down on every joint-smoker in Washington or pot-grower in Colorado and haul them off to federal court and thence to federal prison. But that would require either a huge shift in Justice Department resources or a huge increase in federal marijuana enforcement funding, or both, and neither seems likely. More likely is selective, exemplary enforcement aimed at commercial operations, said one former White House anti-drug official. "There will be a mixture of enforcement and silence, and let's not forget that federal law continues to trump state law," said Robert Weiner, former spokesman for the Office of National Drug Control Policy (ONDCP). "The Justice Department will decide if and at what point they will enforce the law, that's a prosecutorial decision the department will make." Weiner pointed to the federal response to medical marijuana dispensaries in California and other states as a guide, noting that the feds don't have to arrest everybody in order to put a chill on the industry. "Not every clinic in California has been raided, but Justice has successfully made the point that federal law trumps," he said. "They will have to decide where to place their resources, but if violations of federal law become blatant and people are using state laws as an excuse to flaunt federal drug laws, then the feds will have no choice but to come in." Less clear is what else, exactly, the federal government can do. While federal drug laws may "trump" state laws, it is not at all certain that they preempt them. Preemption has a precise legal meaning, signifying that federal law supersedes state law and that the conflicting state law is null and void. "Opponents of these laws would love nothing more than to be able to preempt them, but there is not a viable legal theory to do that," said Alex Kreit, a constitutional law expert at the Thomas Jefferson School of Law in San Diego who co-authored an amicus brief on preemption in a now mooted California medical marijuana case. "Under the anti-commandeering principle, the federal government can't force a state to make something illegal. It can provide incentives to do so, but it can't outright force a state to criminalize marijuana." An example of negative incentives used to force states to buckle under to federal demands is the battle over raising the drinking age in the 1980s and 1990s. In that case, Congress withheld federal highway funds from states that failed to raise the drinking age to 21. Now, all of them have complied. Like Weiner, Kreit pointed to the record in California, where the federal government has gone up against the medical marijuana industry for more than 15 years now. The feds never tried to play the preemption card there, he noted. "They know they can't force a state to criminalize a given behavior, which is why the federal government has never tried to push a preemption argument on these medical marijuana laws," he argued. "The federal government recognizes that's a losing battle. I would be surprised if they filed suit against Colorado or Washington saying their state laws are preempted. It would be purely a political maneuver, because they would know they would lose in court." The federal government most certainly can enforce the Controlled Substances Act, Kreit said, but will be unlikely to be able to do so effectively. "The Supreme Court said in Raich and in the Oakland Cannabis Buyers Club cases that the federal government has all the power in the world to enforce the Controlled Substances Act," Kreit said, "and if they wanted to interfere in that way, they could. They could wait for a retail business or manufacturer to apply for a license, and as soon as they do, they could prosecute them for conspiracy -- they wouldn't even have to wait for them to open -- or they could sue to enjoin them from opening," he explained. "But you can only stop the dam from bursting for so long," Kreit continued. "In California, they were able to stop the dispensaries at the outset by suing OCBC and other dispensaries, and that was effective in part because there were so few targets, but at a certain point, once you've reached critical mass, the federal government doesn’t have the resources to shut down and prosecute everybody. It's like whack-a-mole. The feds have all the authority they could want to prosecute any dispensary or even any patients, but they haven't been effective in shutting down medical marijuana. They can interfere, but they can't close everybody down." As with medical marijuana in California, so with legal marijuana in Colorado and Washington, Kreit said. "My guess is that if the feds decided to prosecute in Colorado and Washington, it would go similarly," he opined. "At first, they could keep people from opening by going after them, either enjoining or prosecuting them, but that strategy only works so long." "I think the career people in Justice will seek to block Colorado and Washington from carrying out the state regulatory regime of licensing cultivation and sales," Sterling predicted. "A lower court judge could look at Raich and conclude that interstate commerce is implicated and that the issue is thus settled, but the states could be serious about vindicating this, especially because of the potential tax revenue and even more so because of the looming fiscal cliff, where the states are looking cuts in federal spending. The states, as defenders of their power, will be very different from Angel Raich and Diane Monson in making their arguments to the court. I would not venture to guess how the Supreme Court would decide this when you have a well-argued state's 10th Amendment power being brought in a case like this." "Enjoining state governments is unlikely to succeed," said Kreit. "Again, the federal government has taken as many different avenues as they can in trying to shut down medical marijuana, and yet, they've never argued that state laws are preempted. They know they're almost certain to lose in court. The federal government can't require states to make conduct illegal." At ground zero, there is hope that the federal government will cooperate, not complicate things. "We're in a wait and see mode," said Brian Vicente, executive director of Sensible Colorado and co-director of the Amendment 64 campaign. "It's our hope that the federal government will work with Colorado to implement this new regulatory structure with adequate safeguards that make them comfortable the law will be followed." While that may seem unlikely to most observers, there is a "decent chance" that could happen, Vicente said. "Two mainstream states have overturned marijuana prohibition," he said. "The federal government can read the polls as well as we can. I think they realize public opinion has shifted and it may be time to allow different policies to develop at the state level." The feds have time to come to a reasonable position, said Ethan Nadelmann, executive director of the Drug Policy Alliance. "There is no need for a knee-jerk federal response, since the states are not required to create a regulatory scheme quickly," he said. "And while anti-marijuana forces more or less captured the drug czar's office early in Obama's first term, they're at odds with other people in the White House and the Obama administration whose views may be closer to our own. I think the White House will be the key. It's very likely that the fact that Attorney General Holder said nothing about the initiatives this fall, unlike two years ago, was because of the White House. I don't mean the drug czar's office; I mean the people who operate with respect to national politics and public policy." Sterling disagreed about who is running drug policy in the Obama administration, but agreed that the feds have the chance to do the right thing. "Given the large indifference to drugs as an issue by the Obama administration, its studious neglect of the issue, its toleration of an insipid director of ONDCP, its uncreative appointment of Bush's DEA administrator, it's clear that nobody of any seniority in the Obama White House is given this any attention. Unless Sasha and Malia come home from school and begin talking about this, it won't be on the presidential agenda, which means it will be driven by career bureaucrats in the DEA and DOJ," he argued. That's too bad, he suggested, because the issue is an opportunity for bold action. "They should respond in a vein of realism, which is that this is the future, the future is now," he advised. "They have an opportunity with these two different approaches to work with the states, letting them go forward in some way to see how they work and providing guidance in the establishment of regulations that would let the states do this and ideally minimize the interstate spillover of cultivation and sales." "As part of that, they should ideally move to rewrite the Controlled Substances Act and begin working in the UN with other countries to revise the Single Convention on Narcotics. Our 100-year-old approach is now being rejected, not simply by the behavior of drug users, but by the voters, many of whom are not drug users," Sterling said. "That would be a way that a wise, forward-thinking, statesman-like public official should respond." That would indeed be forward-thinking, but is probably more than can be reasonably expected from the Obama White House. Still, the administration has the opportunity to not pick a fight with little political upside, and it has time to decide what to do before the sky falls. Marijuana legalization has already happened in two states, and is an increasingly popular position. The federal government clearly hasn't been in the lead and it's not going to be able to effectively stop it; now, if it's not ready to follow, it can least get out of the way. Special to the Chronicle by Houston-based investigative journalist Clarence Walker, who can be reached at [email protected]. This article is the latest in his continuing series on prosecutorial misconduct in the war on drugs. Aurora Lopez-Avila is back home in Mexico. A mother of three, she struggles daily to rebuild a shattered life that once hung in the balance -- after sitting for more than two years in a Tucson, Arizona, federal jail facing charges that she attempted to transport 10 kilos of cocaine across the Arizona-Mexico border on December 8, 2009. Acting on a tip, customs inspectors searched her Dodge Stratus and turned up the cocaine, neatly packaged in the back seat. She was charged with trafficking more than five kilos of cocaine and faced up to life in prison. But Lopez-Avila was freed this past May -- after Tucson-based federal Circuit Court Judge Cindy Jorgenson dismissed the drug charges because of blatant prosecutorial misconduct by Assistant US Attorney Jerry Albert during her trial last November. Albert attempted to mislead the jury into convicting her by presenting a "falsified version" of questions that a federal magistrate judge had earlier asked Lopez-Avila, when she had originally pleaded guilty. The key question was whether she had been threatened to make her take the drugs across, but Albert instead made it seem as if the question was whether she had been threatened to make her plead guilty. Informed of Albert's intentional act to undermine justice, Jorgenson declared a mistrial. And now a federal appeals court has demanded that Albert be investigated. It's another example of a "win at all costs" mentality that has infected federal prosecutors' offices across the land. In an effort to employ a duress defense, Lopez-Avila claimed during her trial that she had been forced to transport the drugs. To discredit her claim, Albert, a veteran narcotics prosecutor, attempted to show that her testimony contradicted what she said during an earlier magistrate's hearing. The court's written opinion showed that Albert intentionally presented to the court and counsel an altered version of the prior hearing's colloquy, making it seem as if the defendant had said that she had never been forced to smuggle the drugs she was charged with. The 9th US Circuit of Appeals, which has jurisdiction over Arizona, was so angered over Albert's twisting the words of another judge that it has called for an investigation by the US Justice Department. "In eight years as US Attorney and 26 years on the trial bench, this is the worst I've ever seen from an Assistant US Attorney," 9th Circuit Judge Donald Walter told the Arizona Star, adding that he was even surprised to hear that Albert was still working as a federal prosecutor. Lopez-Avila first pleaded guilty in a bid to win a sentencing reduction, but later withdrew her plea. Tucson defense attorney Mark Williman uncovered prosecutorial misconduct and saved his client from years in prison. "In this case," her defense attorney, Tucson-based Mark Williman, explained, "Ms. Lopez-Avila was motivated to remain quiet about the duress because she believed there was a woman in jail with her would tell her 'handler' about her tipping off the government. And as a result, Lopez-Avila feared her family would be harmed." When the federal probation officer tasked with conducting her pre-sentence investigation asked Lopez-Avila why she committed the offense and how much money she would receive, she suddenly broke down, sobbing uncontrollably. That's when she told the investigator and her attorney the truth of being coerced to transport the drugs. Speaking in Spanish, aided by translator, Lopez-Avila confessed she was "forced to drive the vehicle across the border and that she would make $1,500 for her misdeeds," Willimann explained. Then she made a startling admission. "I thought I was carrying diet pills," Lopez-Avila told the officer and her attorney. Assistant US Attorney Albert "got desperate thinking the government could lose the case because their own agent told the jury there was 'no evidence' that Ms. Lopez-Avila actually knew she had cocaine in the vehicle," Williman said. That assertion was made plausible by Lopez-Avila's statement that she actually thought she was carrying diet pills. While carrying diet pills across the border is also a crime, it is not the crime of cocaine trafficking. To convince the jury to find Lopez-Avila "not guilty" due to being forced to commit the crime, Willimann had no choice but to have her testify in her own behalf to the fear she felt if she didn't comply with the mob boss order. "My client previously pleaded guilty to the charges before Magistrate Judge Jennifer Zipps but subsequently she changed her plea to 'not guilty' and went to trial, Willimann explained. She had an incentive to plead guilty early on. Under a provision of the federal sentencing guidelines known as "Acceptance of Responsibility," there is a benefit for defendants to admit guilt to prevent the government from wasting resources preparing for trial. "When Ms. Lopez-Avila first pleaded without a plea agreement, we were vying for the extra level reduction under the provision, which is why I encouraged her to plead quickly," Williman explained. "At trial, Ms. Lopez-Avila's defense was the fact she was coerced by a drug boss to bring the drugs across the border and if she had not complied, her family would have been hurt." If a jury had believed Lopez-Avila had been coerced, it was duty bound to follow the law and find her not guilty under the law of "duress." But to make sure he would undercut Lopez-Avila's "duress" defense, prosecutor Albert engaged in prosecutorial misconduct by violating the law to the point of "omitting the words" of the magistrate to undercut her testimony and convict her. Albert's chosen tactic was the creative editing of the federal magistrate's earlier questioning. Reading from an altered transcript to carry out the "win at all cost" scheme, Albert asked Lopez-Avila if she remembered testifying at an earlier hearing. As Albert quoted the exchange of dialogue between Lopez-Avila and the magistrate, the magistrate asked, "Has anyone threatened you?" Reminding Lopez-Avila she had said she had not been threatened, Albert then turned to her and asked, "When you testified before the magistrate that you were not threatened in this case.... was that a lie?" What Albert was attempting to do was to demonstrate to the jury that Lopez-Avila had lied on the stand when she testified she had been threatened into smuggling the drugs because her exchange with the magistrate when she originally pleaded guilty showed that she had not been threatened by drug traffickers. But Alberts' creative editing of the magistrate's questioning and Lopez-Avila's answers misrepresented what had actually been said. What the magistrate had actually asked was, "Has anyone threatened you or forced you to plead guilty?" Alberts thought he had managed to pull a fast one on the defense and the court and delivered a crushing blow to Lopez-Avila's credibility, but he didn't count on defense attorney Willimann's tenacity. When Willimann re-read the transcript of the magistrate's hearing, he notified Judge Jorgenson of the "omitted words" spoken by the magistrate. Jorgenson read Albert's written version, then she read the actual correct version and agreed the prosecutor tried to mislead the court and the jury to deny Lopez-Avila a fair trial. But Jorgenson denied Willimann's request to dismiss the case based because of Albert's prosecutorial misconduct. Instead, Jorgenson found that a mistrial had occurred. "The court cannot cure the error by giving a jury instruction and I hereby grant the defense request to declare a mistrial," Jorgenson announced. 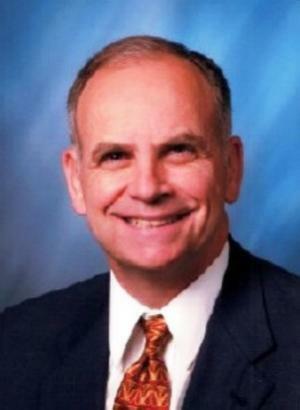 Willimann appealed Jorgenson's denial of his motion to dismiss the case against his client. Documented in the appeal was the prosecutor's illegal conduct surrounding Lopez-Avila's duress defense during trial. In their brief to the 9th Circuit, Albert's colleagues conceded that his misquoting of the magistrate's words "had been intentional but claimed that the reading had been a fair one." But the judges on the panel weren't buying it. "It is hard to see how a prosecutor could interpret a magistrate's question, 'Has anyone threatened you or forced you to plead guilty?' to mean 'Has anyone threatened you to commit this offense?" wrote Judge Carlos Bea. Nor was the conservative jurist pleased with the revelation that the Southern Arizona US Attorney's Office was trying to make the "Albert affair" go away by requesting that the 9th Circuit remove Albert's name from their published opinion that criticized his unethical conduct. "The effort by the Justice Department to conceal the name of its prosecutor, was in sharp contrast in announcing the accomplishments of its prosecutors in public," Bea noted. "The move reaffirmed the view of many lawyers that the Justice Department often acts reflexively in defense of its lawyers... and often resists efforts to hold abusive prosecutors accountable." With the charges of prosecutorial misconduct deepening, Judge Jorgenson dismissed the charges against Lopez-Avila in May and issued a stinging rebuke not only to Albert, but to the entire Southern Arizona US Attorney's Office. "This case is not simply about the mistake of one Assistant US Attorney, but rather the prosecuting office as a whole," Jorgenson wrote. "I'm so grateful. Thank you very much," a jubilant Lopez-Avila told Williman in Spanish when the decision was issued before returning home to Mexico after her sojourn in the US criminal justice system. Lopez-Avila was caught smuggling drugs. Her claim that she only did it because she was threatened by drug traffickers may or may not be true. We will never know because the case never made it to a verdict. The case never made it to a verdict because Assistant US Attorney Jerry Albert was so desperate for a win that he was willing to subvert the cause of justice. The cogs of federal justice continue to grind in Tucson. The drug war provides plenty of fodder. And Jerry Albert remains on the job, at least for now -- the Justice Department's Office of Professional Responsibility is investigating. On Wednesday, DEA administrator Michelle Leonhardt ran into tough questioning (go to 47:15) at a House Judiciary Committee hearing on DEA oversight. After Rep. Jared Polis (D-CO) repeatedly and fruitlessly asked her whether meth or heroin is worse than marijuana, the best she could come up with was "all illegal drugs are bad." Nor would she concede under repeated questioning from Rep. Steven Cohen (D-TN) that marijuana causes less harm than meth. Cohen also went after Leonhardt on medical marijuana. "Have you ever seen a person who had cancer and used marijuana to alleviate their condition?" Cohen asked. "I have, and would you agree it has some benefit for somebody who is dying, that marijuana is the only thing that makes him eat and smile according to his 80-year-old mother?" "That's between him and his doctor," Leonhardt replied. "Then why does the DEA take the position that medical marijuana is wrong?" Cohen asked before Leonhardt got a reprieve because his time was up. Last Thursday, the DEA raided the G3 Holistic dispensary in Upland and federal prosecutors issued indictments for six people in connection with the raid.The folks behind G3 had operated three dispensaries, but shut down two after being warned to close by the feds eight months ago. Three operators of the chain as well as three workers involved in an Ontario grow warehouse that supplied it were taken into custody. All are charged with conspiracy to manufacture marijuana, possession of pot with intent to distribute it, and maintaining a drug location. They all face up to life in prison if convicted. The defendants were due in court in Riverside today. As of last Thursday, there are no more dispensaries in Whittier. Whittier Hope Collective shut its doors after receiving a threat letter from federal prosecutors June 5. The Whittier City Council on a 3-2 vote in October 2009 approved a conditional-use permit allowing Whittier Hope Collective to operate. Nearly a year later the dispensary opened. The collective even joined the Whittier Area Chamber of Commerce. Now, its 5,000 members will have to go elsewhere. Last Tuesday, Lake County supervisors directed county staff to draft an interim urgency ordinance restricting medical marijuana cultivation in unincorporated areas of the county. Staff will take under consideration comments from the Board of Supervisors, the public, and the Lake County Medical Marijuana Cultivation Ordinance Advisory Board. The supervisors are expected to consider the draft ordinance next week. Last Friday, the IRS announced it had seized the bank accounts of a Sacramento dispensary. The DEA had raided the El Camino Wellness Center earlier in the week. The IRS said it seized $870,000 from bank accounts in what it described as a money-laundering investigation. The seizures underscore efforts by federal authorities to crack down on dispensaries by employing laws traditionally used to target money transfers by narcotics traffickers. The IRS referred to the dispensary as an "illegal marijuana store." El Camino opened in 2008 and last year became the first Sacramento dispensary issued a permit under a city regulatory program for medical marijuana outlets. The city is still collecting voter-approved taxes on local dispensaries, amounting to $1.1 million between July 2011 and March of this year. Also last Friday, a Shasta County medical marijuana collective threatened to sue the county over its ban on dispensaries. The Medicine Man Collective Spiritual Center Corporation filed a claim earlier in the week saying the ban will have robbed them of $17.2 million by 2013. It is demanding a meeting with county officials to revise the rules, and says it will seek that amount in court if the county doesn't comply. The collective claims it had served some 20,000 patients in the past. County supervisors passed an ordinance banning pot collectives indefinitely in the unincorporated part of the county in December, and they also passed the county's first-ever ordinance limiting growing. The county counsel has 45 days from the date the claim was filed to accept or reject it. On Monday, a San Diego initiative to regulate dispensaries failed to make the ballot. Citizens for Patient Rights and the Patient Care Association needed to gather 62,000 valid signatures to qualify, but collected fewer than 20,000. Proponents said the federal crackdown and prosecutions by San Diego DA Bonnie Dumanis had depleted dispensary ranks and impeded the flow of money needed to raise the signatures. The same groups last year collected more than 40,000 signatures to successfully repeal a city ordinance that medical marijuana dispensary directors and patients believed was too restrictive. They plan to pursue another initiative or to work with the new city council and mayor to pass regulations after the fall election. Also on Monday, activists in Del Mar asked the city council to adopt a dispensary ordinance after collecting signatures from well over 10% of Del Mar voters. The Patient Care Association led the signature drive and hopes the council will immediately pass the Compassionate Use Dispensary Regulation and Taxation Ordinance in order to serve medical pot patients in Del Mar sooner rather than possibly later. But Del Mar officials opted to instead receive a report on the measure. By doing so, the council will have the choice to either adopt the ordinance within 10 days of receiving the report, to be issued by mid-July, or order an election. The Patient Care Association expects to qualify ballot measures in Solana Beach and Lemon Grove by the end of the week and in Encinitas by the end of the month. The proposed compassionate use dispensary ordinance would impose a 2.5 percent sales tax on medical pot to benefit the city's general fund. Also on Monday, the Oaksterdam Cannabis and Hemp Museum announced plans to relocate. The museum, which is affiliated with Oaksterdam University, is being forced out of its present location by the April DEA and IRS raids on Oaksterdam properties, and must relocate by the end of the month. The relocation is a result of concerns raised by the City of Oakland about having the publicly accessible museum in a shared space with a downtown Oakland medical cannabis dispensary. The museum has been closed since the raids. Also on Monday, the San Francisco City Attorney filed a brief defending the rights of local governments in California to issue permits authorizing medical cannabis collectives to serve their patients, urging the state Supreme Court to reverse a Court of Appeal holding that such regulation is substantially preempted by federal law. The amicus brief authored by Dennis Herrera and joined by Santa Cruz County Counsel Dana McRae argues that discretionary permitting, an integral element in planning and land use policy, is particularly essential for local regulation of medical marijuana dispensaries. The appellate court's October 4, 2011 ruling in Pack v. Long Beach, Herrera and McRae contend, wrongly hinders the ability of local governments to protect public health and safety effectively, and to enact policy innovations tailored to local needs. Also on Monday, the San Leandro City Council again punted on regulating dispensaries and grows. The council agreed to take up the issue again next month. A moratorium is in effect until September 30, but city staff has warned the council it should have an ordinance in place before then. The council has been hesitating, waiting to see what happens with a dispensary regulation bill in Sacramento. On Tuesday, Tulare County supervisors voted to oppose a statewide dispensary regulation bill over fears the regulations could limit local control of marijuana dispensaries and grow sites. The bill, Assembly Bill 2312, sponsored by Tom Ammiano (D-San Francisco), would require commercial marijuana growers to register with a new Board of Medical Marijuana Enforcement, and counties and cities could tax marijuana if local voters agree. It passed the Assembly last month, and is set for a Senate committee hearing next week. Also on Tuesday, the LAPD raided two dispensaries in Woodland Hills because of "illegal sales" of marijuana. Witnesses identified the dispensaries as Green Joy and Green Magic, both on Ventura Boulevard. The raids were carried out by the Topanga Narcotics Division. The LAPD has been busy in the San Fernando Valley, with the department claiming that it had wiped out all cannabis stores in its Devonshire Division. Also on Tuesday, Long Beach police raided a downtown dispensary just hours before the city council was to hear a report on enforcement of its four-month-old dispensary ban. Hit was THC Downtown, which had applied for a permit through a lottery process (while the city still handed out permits), failed to win the lottery, but opened anyway. Police said three employees and two security guards would face misdemeanor charges of violating the city's ban on dispensaries that were not permitted. On Wednesday, patients and activists rallied in Sacramento to protest last week's raid on the El Camino Wellness Center. "The Obama administration is betraying patients and lying to the public," said Kris Hermes, spokesperson with Americans for Safe Access (ASA), one of the groups organizing Wednesday's protest. "The president and the attorney general have said publicly that the Justice Department is not targeting state-compliant medical marijuana dispensaries, but that's exactly what it's doing." Earlier this month, Attorney General Eric Holder told members of the House Judiciary committee that, "We limit our enforcement efforts to those individuals, organizations that are acting out of conformity with state law." However, by all accounts, El Camino was acting in full conformity with local and state laws. On Monday, the Commerce City City Council approved regulations under which medical marijuana businesses must apply for a conditional permit, and then for a business license. The program goes into effect July 1. License applicants must sign waivers that release the city from any liability for injuries or damages if state or federal agencies seek arrest or prosecution. The ordinance creates rules for regulating dispensaries, cultivation facilities, production and manufacturing of medical marijuana products. Earlier this month, state Democrats added support for medical marijuana to their party platform. The new plank says that, because voters approved the use of medical marijuana, the Democratic Party supports "the right of qualified patients with a medical condition where marijuana is appropriate (to) have safe access to medical marijuana." 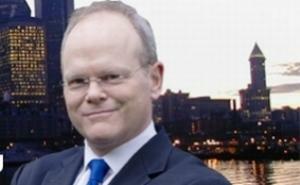 Party spokesmen said the measure didn't spark much debate at the party convention. Some 61% of voters approved the Montana Medical Marijuana Act in 2004, but a combination of federal raids and changes by the Republican-led state legislature have left the program in tatters. 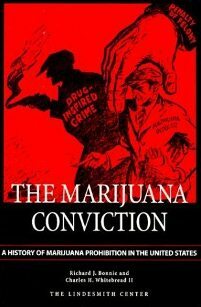 Chronicle Book Review: "The Marijuana Conviction"
I don't customarily review books that aren't hot off the presses, and The Marijuana Conviction is even older than that 1999 publication date above, considerably so. In fact, it was originally published by the University of Virginia Press in 1974, back when Richard Nixon was still president. But we got our hands on a bunch of copies of it that we intend to share with our supporters, so I thought I would take a look. I'm glad I did. Although I consider myself fairly well-read on the topic of marijuana law reform, I came away with a refreshed appreciation for the tumultuous social currents and historical happenstance that forged pot prohibition in the first place, the role of race and class, the opinion-shaping power of early media and political opportunists, and the bureaucratic maneuvering that enabled Harry Anslinger to shepherd the 1937 Marijuana Tax Act into law, enacting for the first time a federal ban on marijuana. This is a foundational text for serious scholarship about the making of marijuana policy in America. Bonnie and Whitebread were University of Virginia law professors, and Bonnie had just finished a stint as Assistant Director of the Shafer Commission, which had been appointed by Nixon to examine the nation's drug policies (and was ignored by him when he didn't like what it had to say). The Marijuana Conviction first took form as an appendix to the commission report in 1972, and Bonnie and Whitbread spent the next year or so expanding and revising it into its published form. We're talking primary documents here. Departmental memoranda from the Federal Bureau of Narcotics, congressional testimony, state legislative hearings, and the like. It may sound dry, but it will be deeply fascinating and thought-provoking for serious marijuana policy wonks and even just pot history buffs. And it's not all dusty documents. There is detailed social and cultural history, and there are extensive references to the lurid and outlandish press coverage of murderous marijuana maniacs and the campaign that percolated up from the states to criminalize the demon weed. For that was the original charge against marijuana: It will enslave you, it will drive you to commit horrible crimes, and it will drive you insane. Bonnie and Whitebread devote much space to describing how such a view of marijuana emerged, and they tie it squarely to attitudes toward racial outsiders -- first the Chinese and the opium laws, then the Mexicans and blacks with the marijuana laws. It doesn't paint a very appealing picture of American political decision-makers, whether it's lawmakers in Montana laughing as they voted to outlaw marijuana after testimony that consisted of a joking anecdote about how after Mexicans smoked it, they thought they were the Emperor of Mexico and wanted to assassinate their political enemies, or bureaucrats in Washington -- and not just Anslinger -- who deliberately covered up or suppressed information that didn't fit the emerging "marijuana menace" consensus. It does, however, provide fascinating insight on the back-and-forth, both between Washington and the states and among the competing bureaucratic and political interests in Washington as that consensus concretized in harsh state and federal laws against marijuana. But reading The Marijuana Conviction now, nearly four decades after the fact, leaves one feeling appalled and frustrated, too. Because not only do Bonnie and Whitebread describe the prohibitionist marijuana consensus -- that pot is addictive, criminogenic, and psychosis-inducing -- of the 1920s and 1930s, they also describe its disintegration in the 1960s. Of course, that consensus only crumbled when marijuana use spread to middle- and upper-class white youth, provoking not only the concern of well-placed parents, but also the interest of scientists and researchers who were just unable to find all of those pot-addled, blood-stained psychos. But crumble it did. Almost a half century ago, the supposed scientific and medical basis for marijuana prohibition was exposed for the sham it was. At the time, Bonnie and Whitebread were too cautious, too professorial, to call for immediate "regulation" instead of prohibition. But as a first step, they demanded, at an absolute minimum, decriminalization. In the decade in which they wrote, the reform impetus flourished, and 11 states actually did decriminalize. But since then, progress stalled, then came to a screeching halt during the Reaganoid dark ages of "Just Say No" and "This is your brain on drugs." It is only in about the last 15 years that the marijuana reform movement has begun moving forward again, now with ever increasing momentum. But even with all that's gone on since the groundbreaking passage of Proposition 215 in California in 1996, marijuana is still illegal. The number of states that have even decriminalized is still in the teens, and while Bonnie and Whitebread waxed indignant about 250,000 people being arrested for pot each year, that number is now north of 800,000. The Marijuana Conviction can't tell us how we can get out of this mess, although a close reading should yield some insights, but it certainly and artfully shows how we got into it. This is a must-have for any serious student of marijuana's bookshelf.